WCC Board (2017-2018) (l-r standing): Lorin Romeo Romay, Valerie Dorsey, Jane Bloom, Amy Murphy, Aquannette Thomas, Cynthia Heathcoe. (l-r seated): LeAnna Carey, Rhonda Rogers, President Heather Gray, and Mary Elias. 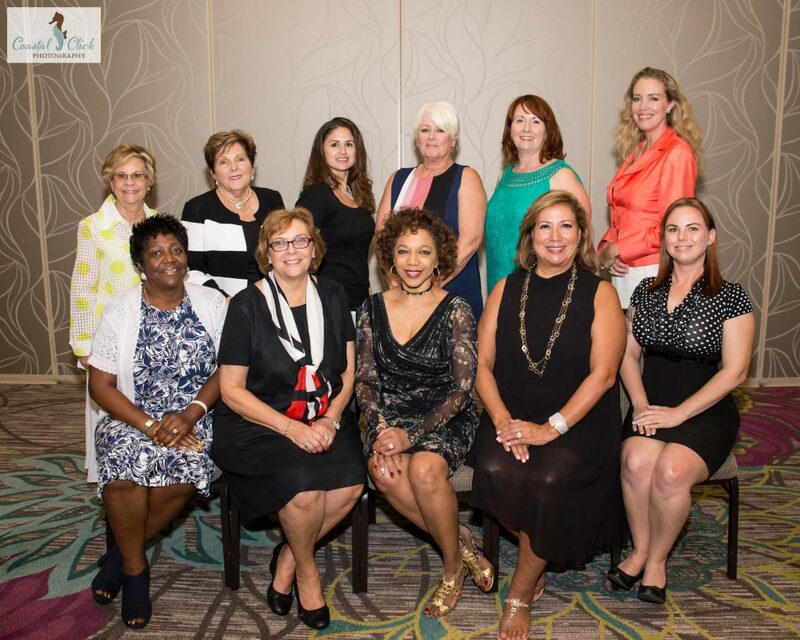 WEST PALM BEACH – On June 15, 2017, West Palm Beach Mayor Jeri Muoio installed the 2017-2018 boards of the Women’s Chamber of Commerce of Palm Beach County and the Women’s Chamber Foundation at an installation dinner held at the Wyndham Grand in Jupiter, Florida. Jeneissy Azcuy, Director of Corporate Communications for South Florida PBS, was the mistress of ceremonies. 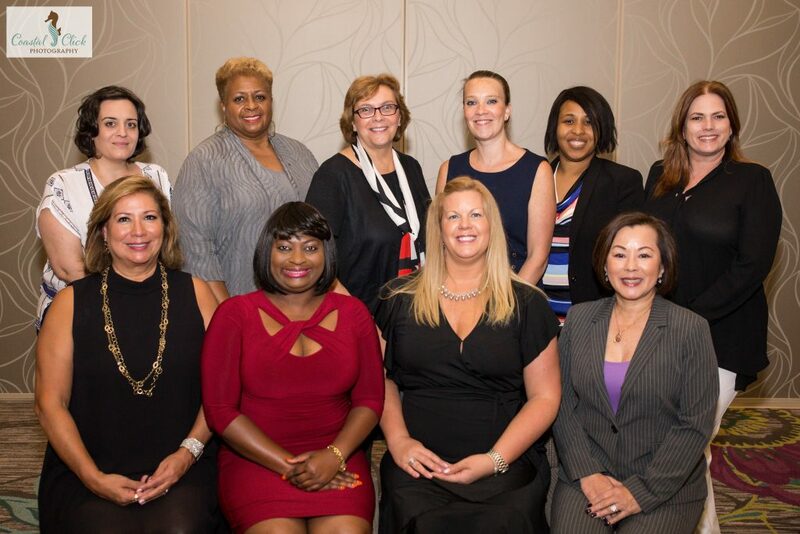 Both Chamber President Heather Gray (Keiser University) and Foundation Chair Denise Albritton (Bus One LLC) will continue to lead their respective boards for a second year, supported by 1st Vice President Rhonda Rogers (Bridges at Lake Worth West) and Vice-Chair Cindy Sheppard (Senior Vice President, First Bank of the Palm Beaches). WCF Board (2017-2018) (l-r standing): Bonnie Siegfried, Barbara Benson Wymer, Larrisa Shaffer, Maureen Ashe, Tina Lou Lang, Dr. Angela Kogan. (l-r seated): Mary Moffett, Jane Bloom, Chair Denise Albritton, LeAnna Carey, and Tiffany Barry.